Did you know that tomorrow is “Something On A Stick Day”? And I’m not making it up either….Like all those other times that I mentioned here. We actually made a couple of sets. These guys are for Simon. But we made some for Gracie as well. 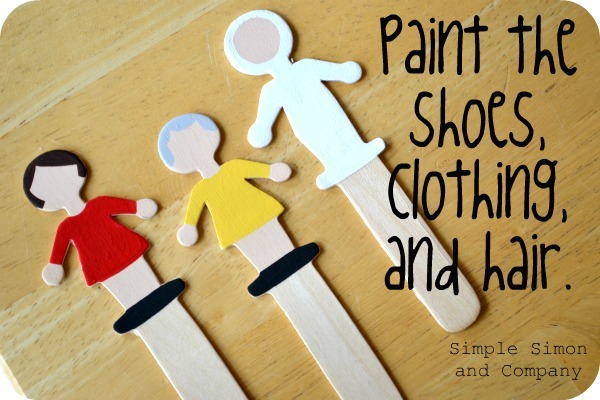 Painting these puppets was a perfect Sunday afternoon project. 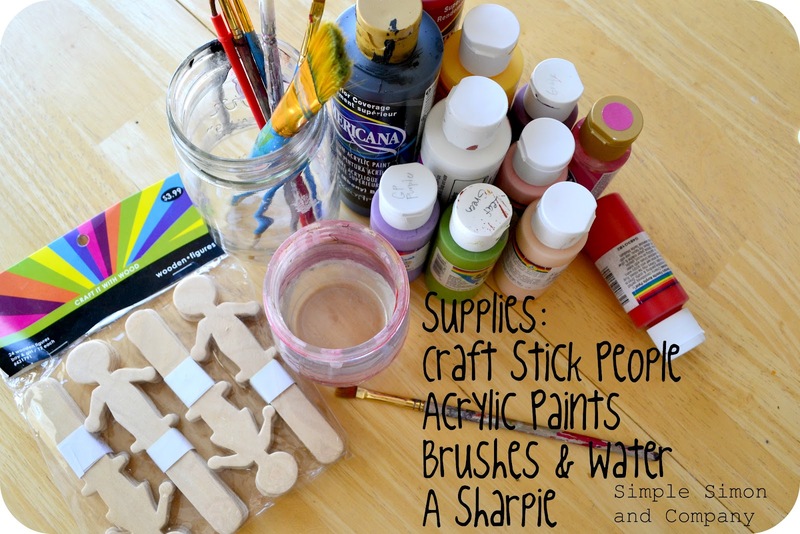 I bought the craft stick people at Hobby Lobby in the wood crafts section but I’m thinking you could probably find them at Micheal’s as well. 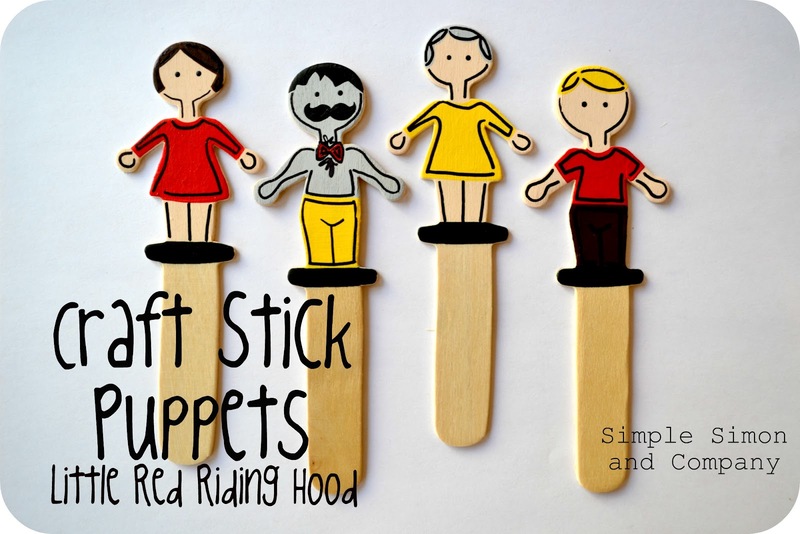 Then after you have your supplies you can make the puppets as detailed or as simple as you’d like. I decided to make mine REALLY SIMPLE so we could finish all in one sitting. (Now, you can totally forget about the Sharpie step if you like. Unfortunately the Big Bad Wolf came out like the love child of the Werewolves of London and that Pringles guy. Oh well. You can’t win them all right? Snow White, Tinkerbell, Ariel, and Rapunzel. 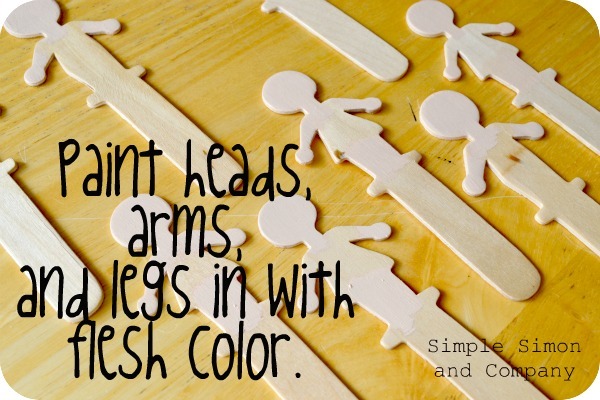 These were fun to make and super easy and it got me to thinking that I am going to make some more for this summer…I’m planning a boys of summer reading thing for Simon and I’m thinking that painting these like the characters from the books we are going to read and then using them for bookmarks would be funny. Anyways—Happy Something on A Stick Day tomorrow! Now I’ve just got to plan what we are going to eat for dinner. And NO it will not be corn dogs. Humm…I don’t supposed there is anyway to put nachos on a stick is there? These turned out So cute! 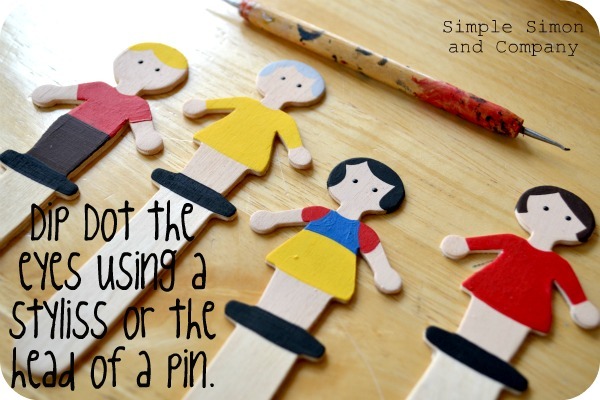 I haven’t seen those little people craft sticks. I totally want some! 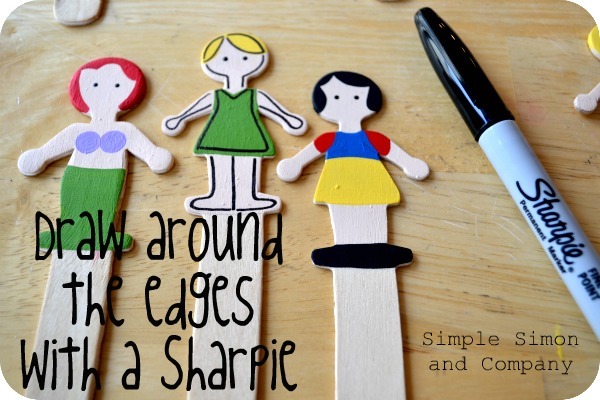 These are just about the cutest things, and drawing around them with the sharpie is the perfect little tip. It really adds the extra touch to make them adorable! Love them. I am going to get some sticks…stat! Found you on Pinterest. These are ADORABLE! Thank you ever so much for sharing. And the sharpie idea? genius. What a great idea! 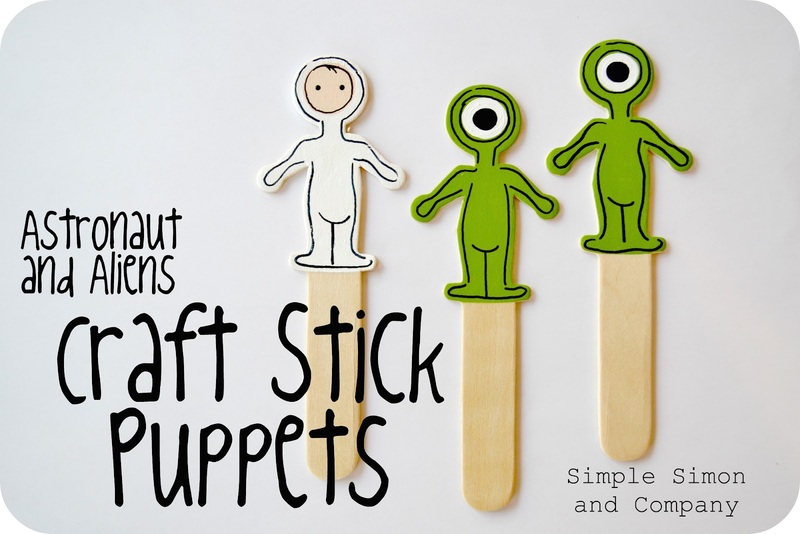 I don’t think I’d ever find premade stick people here in Noumea LOL, but I’m pretty sure that I have some of icecream sticks in the craft cupboard and definitely have cardboard laying about. We have a pedagogic day today so it is the perfect project for the kids and I! Thank you! These are so. Cute!!!! Your painting of them is impeccable. OH my lordy I love this. 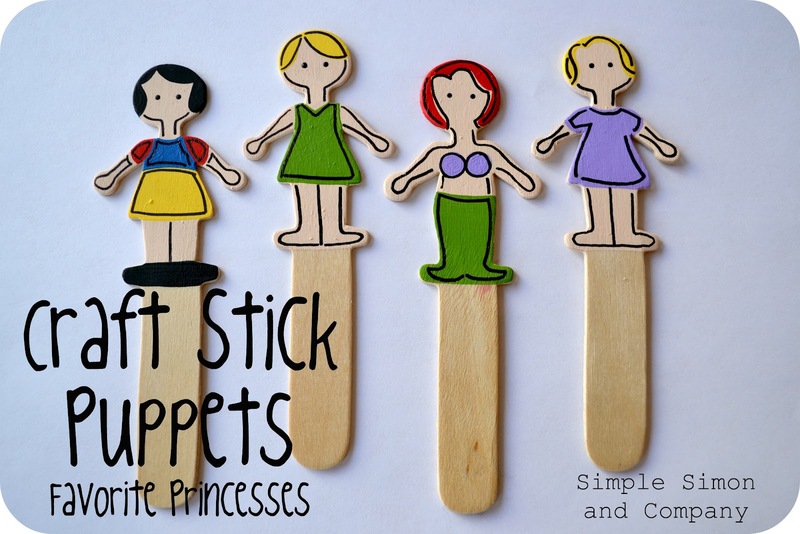 Super cute and I had never seen stick people well other then the drawing kind. I am going to have to run into our hobby lobby to see if they have them. My daughter would love this. Shoot I need some new book marks. Great post. Eeek, Liz -these are adorable. Must go hunt the sticks down in Michaels. We have no hobby lobbies here. I have to visit my inlaws in Fargo-Moorhead to get to a HL. Like a pilgrimage, almost! 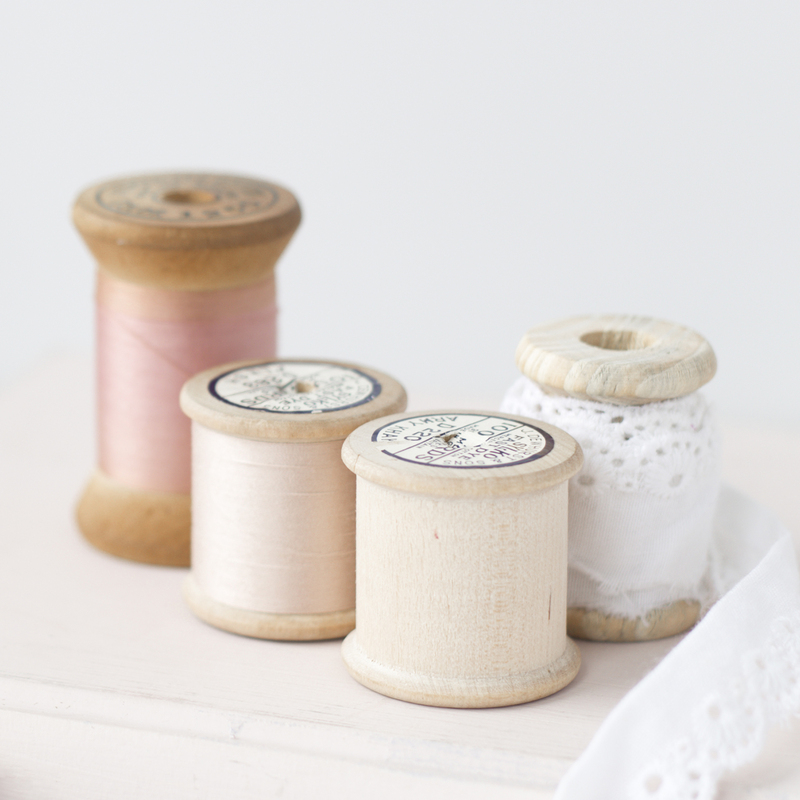 Thank you for this craft. My three girls will LOVE this. I am dying a little inside. Today I went to AC Moore AND Michaels and they DON’T carry these! Blast! I’ll have to make the epic journey to our nearest HobLob…totally worth it if mine can be as cute as yours! Where I can buy that wooden sticks?